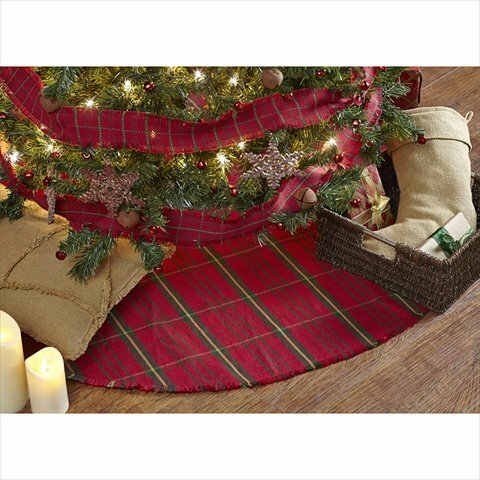 A plaid Christmas tree skirt can add the finishing touch to a beautifully decorated tree. I have never used a solid colored tree skirt because there is so much variety out there. Plaid is great because it can come in multiple colors and multiple sized patterns. I have to admit that I am blasphemous and do not have a tree skirt for my tree. This is mainly because I use an artificial tree and simply have not gotten around to purchasing a skirt to finish off the look. With that being said, I do believe that a skirt is a fundamental part of a full holiday decor. We used the same red and green Christmas tree skirt every year when I was a kid. I am pretty sure it was starting to fray at the edges and the felt was kind of coming apart but it didn’t make it any less loved. There are three reasons I can think of for one using a tree blanket: to catch needles, serve as a foundation for gifts, and to bring the room together with your Christmas decorations. Check out some more tree skirts here. As with many holiday items, there is a huge variety of plaid skirts available so that you can find the perfect one for you. I would recommend a tree skirt that comes out a few feet around the bottom of your tree so that your tree is highlighted in the room. It can be easy to forget about the floor when so much effort goes into covering the branches. It would be a shame to put so much effort into decorating when you just see the plain carpet, tile, or wood on the floor. 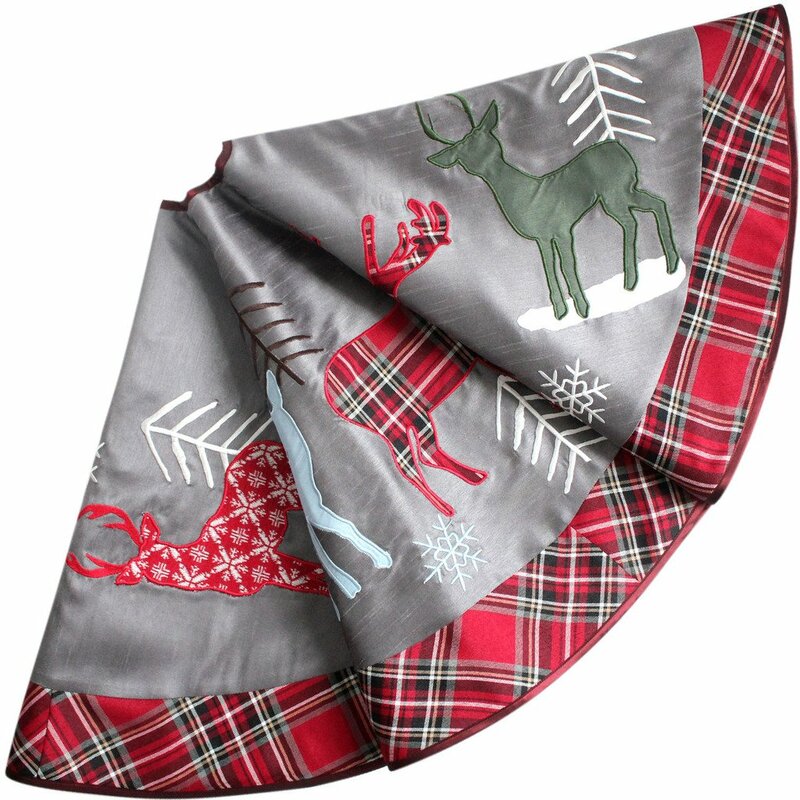 I looked for classic plaid Christmas tree skirts that could be appreciated for their simplicity. My favorite is the first one which includes Mickey and Minnie Mouse ice skating around the floor. There are multiple things I enjoy about this particular skirt. First off who doesn’t love Disney characters?! Second, ice skating really helps bring home the face that it is winter and Christmas time. Last, but not least, the red and green plaid is perfect holiday colors and would look great with a real or artificial green tree. The next one is perfect for the person who wants the classic plaid quilted skirt. It is very traditional with tight plaid squares with no extra ornamentation. Simple, elegant, and classy. 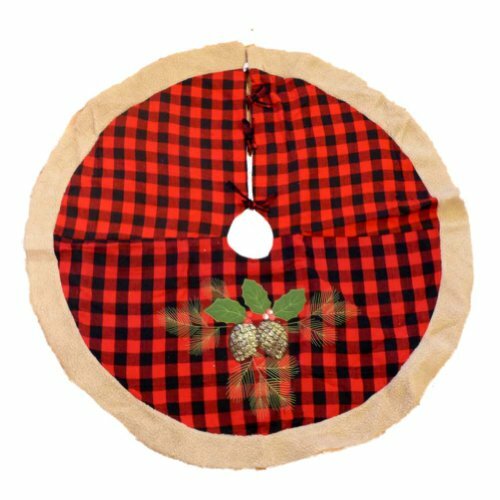 If you want something a little more decorated, the Pine cone plaid Christmas tree skirt has some nice red and black plaid with a brown fringe. I really enjoy the pine cones and leaves that have been placed on the front of the skirt. It would work best for trees that are in a corner or up against a wall because the cones are only in the front. I still haven’t decided what type of skirt I will be buying for my tree because I wholly believe they should be used year after year. It is an easy tradition which everyone can appreciate, kind of like using a favorite Christmas tree topper. On the other hand, if you like changing it up every year, it might be necessary to pick up a new tree skirt on occasion. Do you think the skirt is important to your own family traditions?